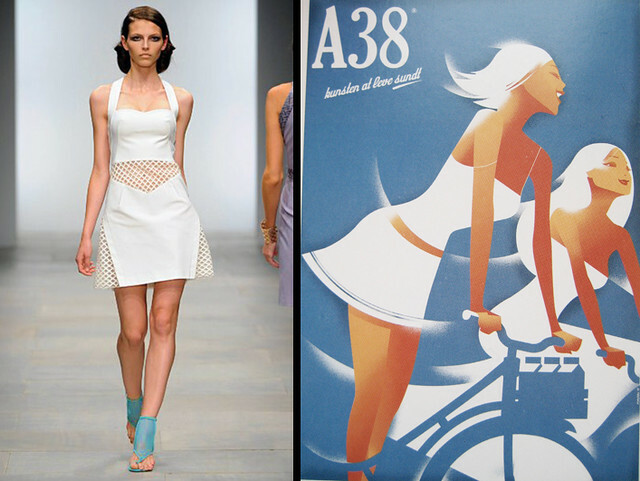 Marios Schwab and a Danish yogurt advert. 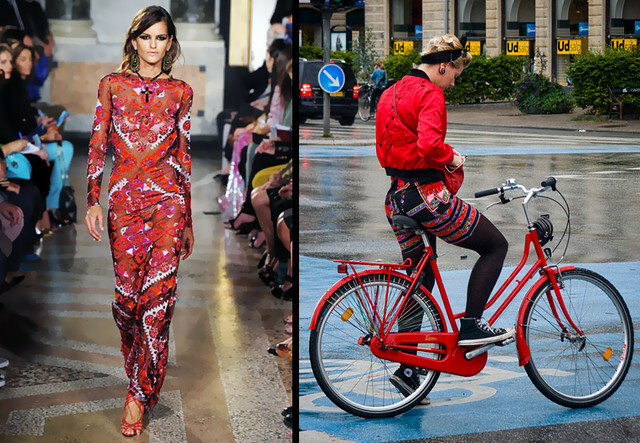 On the runway at Versace and Rebecca Minkoff's Tour de Fashion bicycle, photo provided by EcoSalon. I have really enjoyed this series of comparisons. Good eye! Felictations! 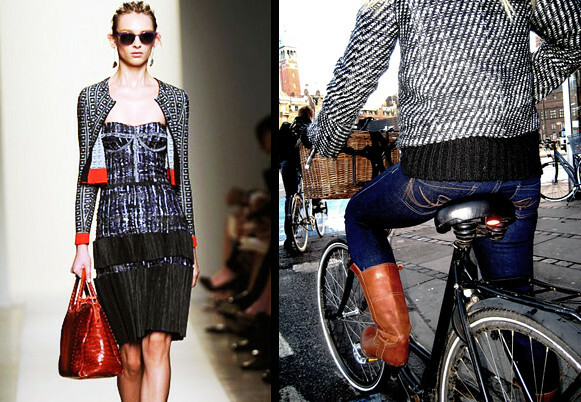 Copenhagen Chic is MORE fashionable than the runway models in 5 out of 65 comparisons. Opps! 5 out of 6. 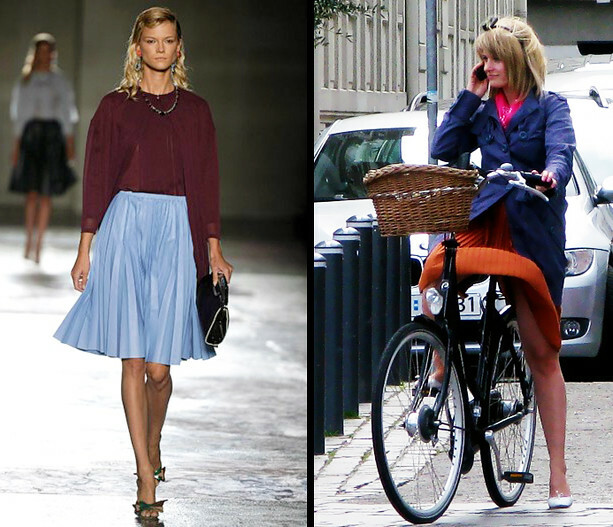 I especially liked the white basket on the bike. 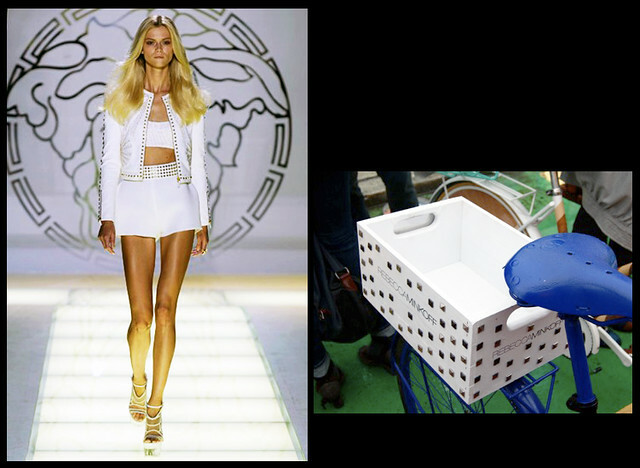 That was more fashionable, in my view, that the runway model wearing what looks like a white basket.